As most of my readers know my family spends a lot of time outside enjoying many different activities. During the fall and winter they do a lot of hunting and hiking. 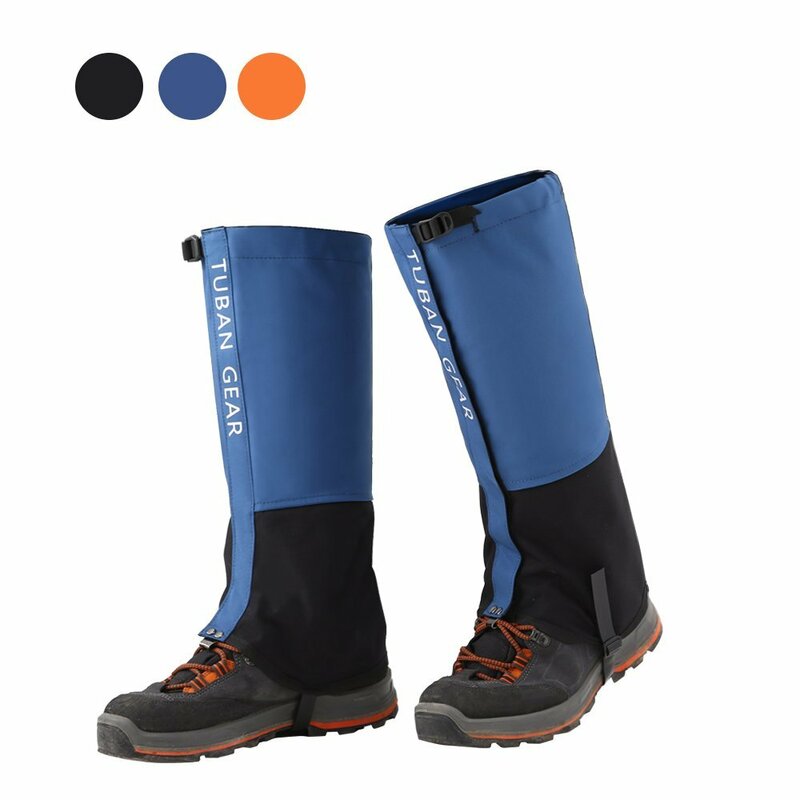 So I thought it would be a good idea to share my thought and opinion of Tuban Hiking Gaiters Snow Gaiters with all of you. These are light weight and easy to put on. They protect you from snow, ice , mud, sand or wind getting into your boots, as well as insects, snakes, and other creepy crawly things. They are made from 500 D Nylon so they are very durable, oil resistant and breathable. They have an instep strap that are durable and keeps the Gaiters from riding up and holds them in place as well as a shoelace hook at the bottom. They are easy to wipe clean and roll up or fold to take them with you anywhere you go. They sound like great boots for everything.